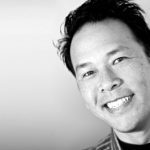 Glenn Yee, a Creative Consultant based in the Hollywood Riviera area of South Redondo Beach, has 25+ years of experience in logo development, corporate branding, print and online design. Throughout his career journey, he has worked with an array of highly respected clients including Toyota, Lexus, Honda, Acura, United Airline, FedEx, Cold Stone Creamery and LA Gear. Glenn has won numerous awards for his corporate identity, product development and online design work.